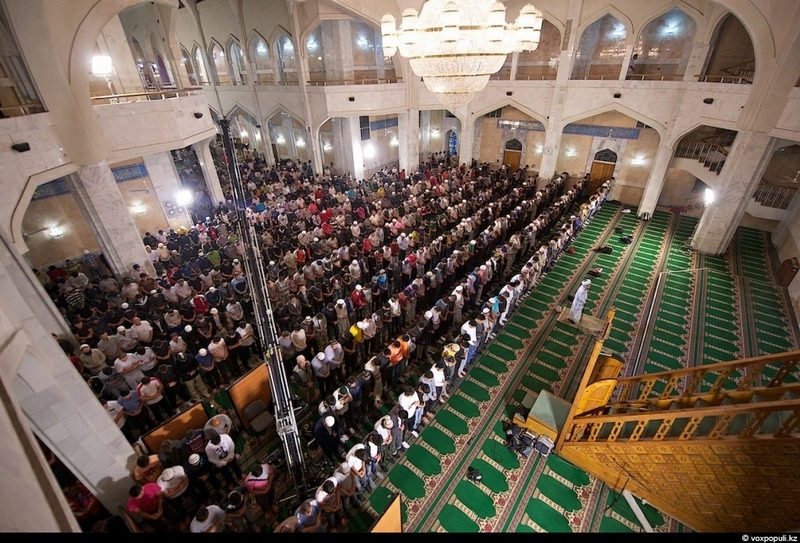 Last Sunday Muslims from all over the globe celebrated one of the most important religious holidays called Night Of Determination or Laylat al-Qadr. 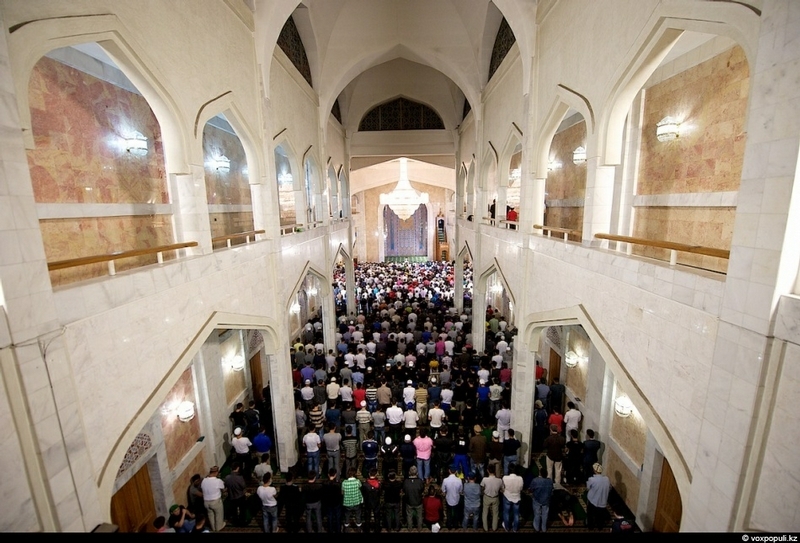 Below are the pictures that show how the holiday was celebrated in the Central Mosque of Almaty. 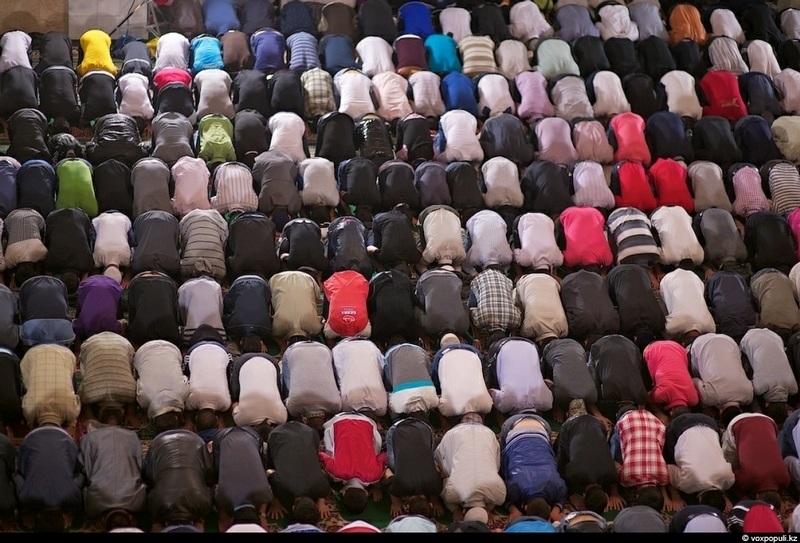 According to the Koran, God determines the course of the world for the following year during the night between the 26th and the 27th days of Ramadan. It’s time when people don’t sleep the whole night, pray and ask God to forgive their sins. 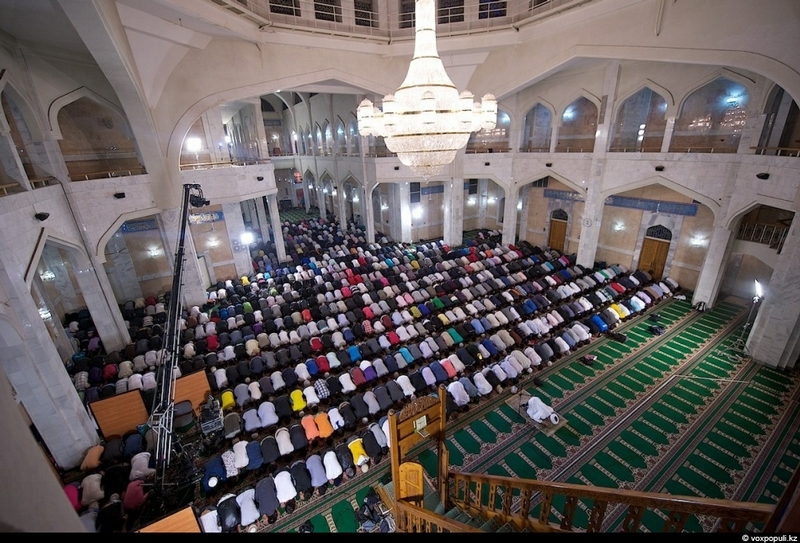 The central hall of the mosque is empty as believers are still busy with breaking their fast. 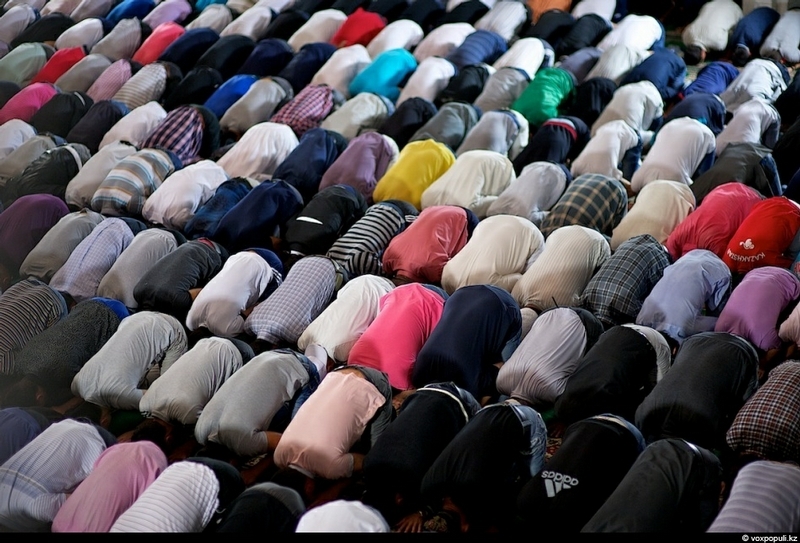 Nobody is willing to miss the Isha night prayer. 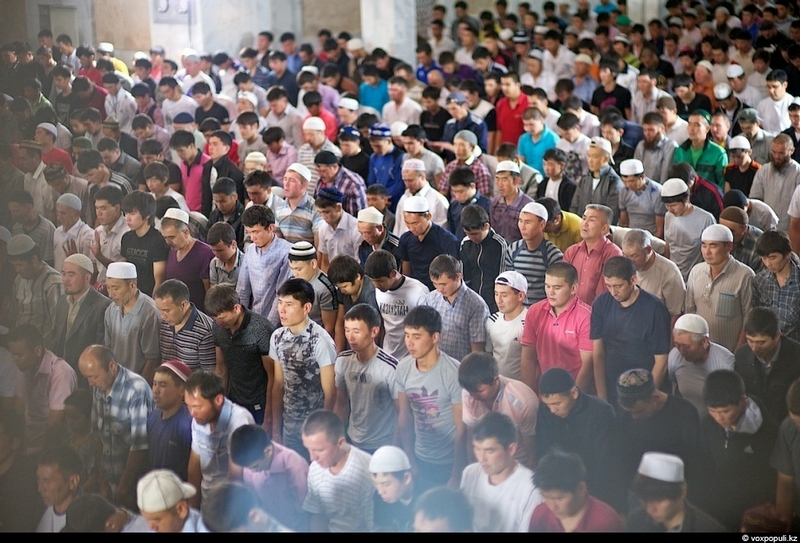 During 30 days of fasting Muslims refrain from food, drinking, sexual intimacy, bad thoughts and actions from dawn until sunset. 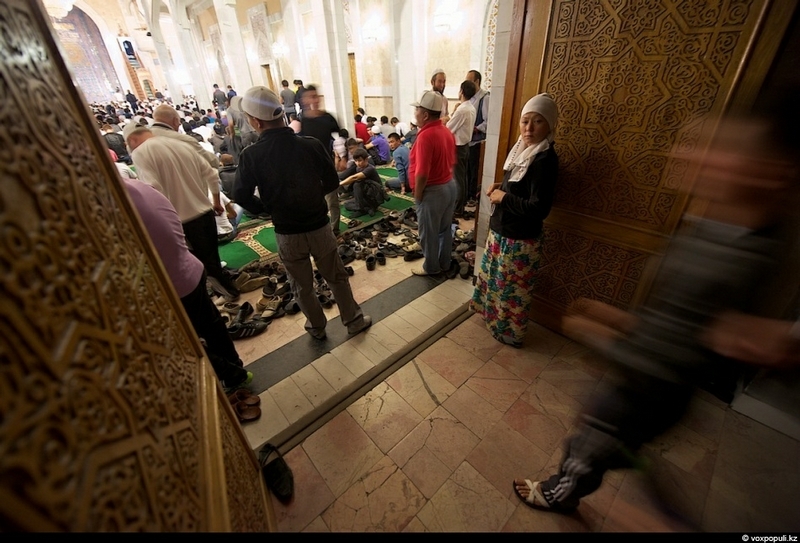 Don’t forget to remove your shoes before entering the mosque. The Night of Divine Determination is better than a Thousand months. It is often said that praying throughout this night is rewarded equally with praying for a thousand months (just over 83 years i.e. a lifetime). Allah has made it compulsory upon believers to fast by day, and voluntary to pray by night. 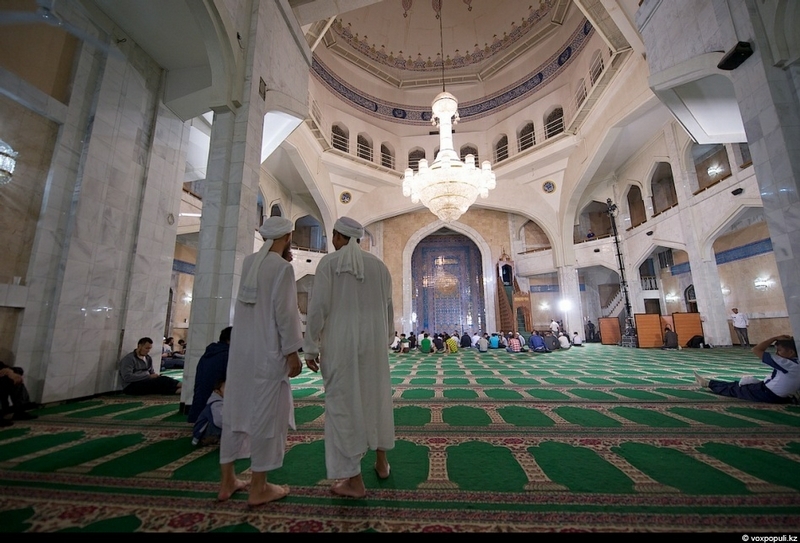 It is believed that Koran was sent down in the night of Al-Qadr. 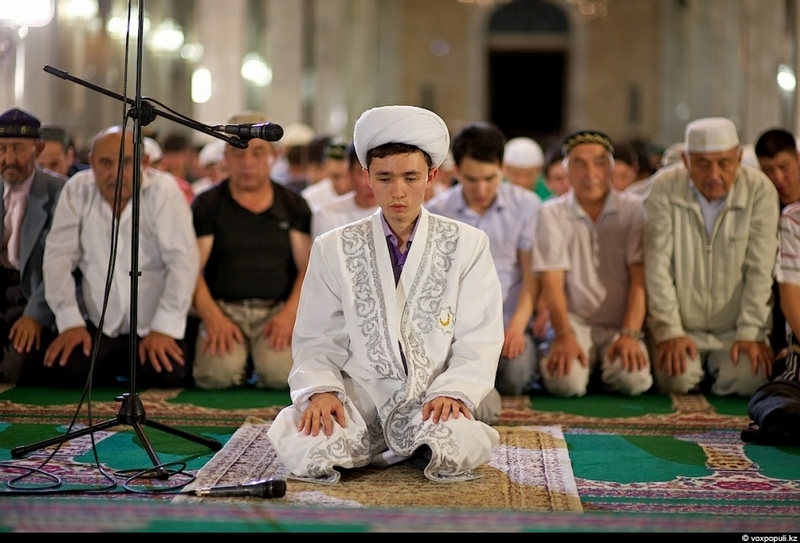 Those who will spend the night in praying will get forgiveness of their sins. Seems like a lot of trouble to get sins forgiven. Perhaps better not to sin in the first place? Perhaps not caring at all. Alternatively, not worry about it and live your life as you please? Or be like the Catholics and get them wiped out every Sunday. Wow… I think the Koran is sent down on the 17th of Ramadhan, not on the night of Layt Al-Qadr. Do they make the women pray outside? I got on plane with these people after this so called “Joyous event”. One of the young men threatened to kill me. Peaceful people? No…not in my book. A perfect time to lock the doors and take out the PKM and kill these muslum scum. First we kill the nazis on both sides, lets begin with you.. The real world isn’t good or evil; it’s all just matter in motion (materialistic). Darwin’s not welcome here (or in Kansas!). Fruid said religion is mass hysteria. How true ! Add to that dying for islam will land you on god’s right hand side & eternal enjoyment guaranteed.Fatal concoction!! yes true, but you stay uneducated. Diversity in the ex USSR is amazing! Thanks for the awesome photos ER!